As reports of post-election violence mainly targeted at opposition MDC Alliance supporters mount, the Zimbabwe Human Rights Commission (ZHRC) has emerged as one of the most vocal institutions speaking truth to power. The ZHRC last week issued a strongly-worded statement calling on the army to account for its members and “warn them not to attack civilians in order to stop further harm to members of the public”. This followed reports that soldiers and Zanu PF activists were targeting MDC Alliance supporters in a violent retribution campaign that has resulted in the death of seven people and left scores injured. 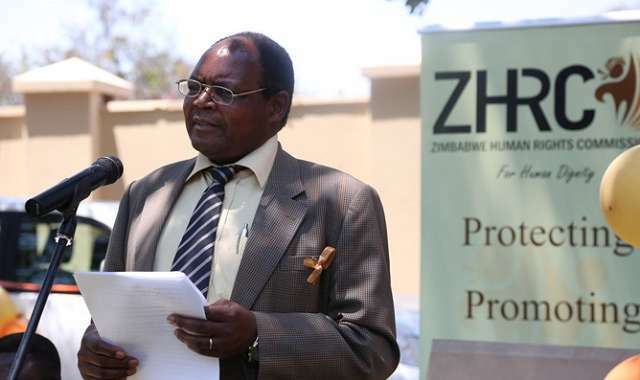 Our senior reporter Veneranda Langa (VL) last Friday had an exclusive interview with ZHRC chairperson Elasto Mugwadi (EM), who disclosed that the commission was worried about the escalation of violence against opposition supporters. Below are excerpts from the interview. VL: The ZHCR recently released its preliminary report on the July 30 elections. Please give us an overview of your findings. EM: What we had in our report on the 2018 harmonised elections and the post-election environment in Zimbabwe were just preliminary findings. We are still compiling more information so that we come up with a comprehensive final report. We are gathering evidence from all the 10 provinces in the country, which will assist us in coming up with the final report. Some of the key issues covered by the preliminary report included the post-electoral period, which was more disturbing and where six civilians lost their lives during demonstrations by the MDC Alliance, while several others were injured. There were also cases of alleged beatings of civilians by the military, as well as cases of harassment and intimidation of people perceived to have voted for the opposition political parties. VL: On the issue of victimisation of civilians by the military, what did you find out in your investigations? EM: Our investigation teams visited the affected areas of Kuwadzana and Warren Park in Harare, and Chitungwiza to assess the situation because we had received complaints of members of the military allegedly indiscriminately harassing and beating up civilians in some suburbs in Harare. the teams were not able to witness the soldiers beating up the people, but most of the people that we ended up talking to were saying that they heard that soldiers were causing havoc, or that it happened next door without really identifying the actual victims. However, this is an ongoing investigation and our final report to be released will provide concrete findings. There were allegations that bogus people that are not the military had been going around masquerading as the army, and probably trying to avenge some past feuds, which had nothing to do with the elections, and taking advantage of the elections so that they could find scapegoats. Of concern to the commission is the fact that there seems to be no office taking responsibility over the deployment of soldiers into communities and streets. On the contrary, the Zimbabwe Defence Forces and the government have incredibly denied this deployment. VL: You were very critical of the role played by traditional leaders in Zanu PF’s campaigns and the abuse of food aid to influence the elections. Why did you not raise these issues before the elections? EM: We did raise those issues, and if you look at our pre-election report and even soon after the elections, we did raise those issues. In our preliminary report, we made recommendations that traditional leaders and chiefs must stick to their roles as defined in the constitution and the Traditional Leaders Act. If they become fully-fledged political activists, they will be taking sides. VL: In your preliminary report you concluded that the issues raised above made it difficult for Zimbabweans to exercise their constitutional rights on election day. Do you still consider the elections free and fair? EM: Our preliminary report says that our monitoring of elections up to voting day was very peaceful and people enjoyed their rights and freedom to assemble and freedom of expression without hindrance. Rallies were held and people were free to express their views. It was peaceful up until post-election. We believe the pre-election period was fair, but the monitoring of the post-election phase is still on-going until the end of September. So, we will look at what happened to try and find out if it was triggered by the electoral outcome or just people trying to take advantage of the elections. VL: When should Zimbabweans expect your final report on the elections and are any of your recommendations enforceable? EM: There is no legal time limit as to when the report should be filed, but we are looking at the general practice, which is within three months after elections. In the 2013 elections, we filed the final report within two weeks after the elections were held. Then, we also did not have any post-election issues to investigate. VL: You issued a statement condemning the shooting of protesters by the military on August 1, leading to the death of seven people. What additional steps are you taking to ensure that there is justice? EM: We made recommendations in our preliminary report that the military should remain in the barracks. We condemned the use of live ammunition on civilians because they could have used rubber bullets. In a normal situation, the army should not be asked to control riots, it is the duty of the police to do so and maintain law and order. When we engaged the police, they said most of their officers had been deployed out of Harare and during the demonstrations they did not have enough manpower and so they ended up asking for assistance from the soldiers. Our recommendations are that this should not be allowed to happen again. The commission reiterates that all army deployments must be done in terms of the laws and constitution, and all members of the Zimbabwe National Army must be accounted for and warned not to attack civilians in order to stop further harm to members of the public. VL: Are you aware of reports of post-election beatings and attacks of suspected opposition supporters by security agencies? If so, what are you doing to stop the abuse? EM: We are investigating everything and one of the things we are doing is to engage with the police. You may be aware that there is a Zimbabwe Electoral Commission committee, which was set up and it includes members of the Zimbabwe Republic Police like senior assistant commissioner Erasmus Makodza. We are engaging with him to look at the reports and find out what they are doing about this because where there is criminal violation of human rights, it is the duty of the police to investigate. VL: Are there any victims of post-election violence that have approached you, and if so, can you describe the nature of their cases? EM: Yes, there is a family whose house was gutted down by fire in Mutoko. They sent a report to us, unfortunately they wanted to remain anonymous for security reasons. The difficulty now is that they have gone into hiding and now we do not know their whereabouts so that we can interview them to find out who the arsonists are. There is also another report being investigated of a case in Muzarabani of threats of violence. We are still following up on the issue. VL: Is your commission empowered to provide redress for human rights violations? EM: It is only by way of recommendations, but the recommendations have no legal force. They are like advice, and it is up to someone to take the advice or not. However, most of our recommendations have been implemented. An example is the case of Chingwizi villagers. We recommended that they should be compensated and resettled and that was followed. We have proposed alignment of laws with the constitution so that our recommendations can be executed as High Court orders. I strongly believe that will go through. VL: Do you think the commission has made any impact since it was set up and can you describe the nature of your interventions? EM: We have made impact to the extent that we have sensitised people through outreach programmes to know their political, environmental, socio-economic and other rights, and to educate them that if they have been wronged they can submit their complaints. During the pre-election period, we had meetings with the major political parties like Zanu PF and MDC Alliance to say that they should not engage in provocative sloganeering during rallies, like citing a single person as an enemy. We also told them not to engage in hate speech, some of which was responsible for fuelling the August riots. VL: Who do you consider to be the worst violators of human rights in Zimbabwe? EM: There is no single group that I can single out as worst violators. The violators are varied because there are people whose rights were violated because they could not get their due pensions, and then there are some people that were forced to attend political rallies, not by their free choice. We have not had an opportunity of documenting those cases, but in the future we will do so. The post Opposition under army siege appeared first on The Standard.